Elly Knottleweed-Eversprightly comes from a long line of famous fairies. But just because one of her ancestors wrote the historic Fairy Code doesn't mean Elly loves being a fairy. In fact, she hates it. She can't stand the itchy tutus, would rather ride her skateboard than fly the Fairy Flock, and messes up all of her magic spells. 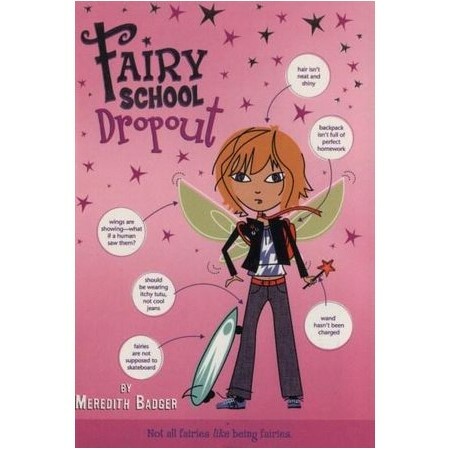 Plus, she's been kicked out of two fairy academies for turning her Synchronized Flying Instructor purple and catching a flyrus (it wasn't her fault ). Then Elly meets Jess, a human girl who helps Elly fix her malfunctioning wand. Elly never dreamed being friends with a human could make her life so much better. But can Jess help keep Elly from being kicked out of Fairy School - forever?